Do radiologists dream of electric sheep? The “Future of Radiology” event in London. The 3Dnet agora: a journey from product providers to platform providers. When we first went to the market with our product, 3dNet, success came fast. It was great, but also led to many issues we had to learn to manage as a company. We were overwhelmed by enhancement requests, some of them trivial, others substantial. Our innovation pace was stalling. We did not have enough resources to do what we were asked to do; often people ask me how many employees we have; My answer was always, half of how many we really need. Growing, and growing with our fast rate, meant we had to have an almost unlimited supply of skills and resources available on demand. I spent most of my time on linkedin.com trying to find skills to bring in, while Soeren spent most of his time maintaining those skills. It was an endless battle, where we had to compete not only with the usual suspects in the MedTech industry but also with every single technology company in London. That is when I realised something so obvious, but yet something I was unable to see at the time: no matter what kind of company you work for, small or large, when it comes to innovation and skills, the most skillful people reside outside the boundaries of your company. In the years to come, we started to call the “outside the boundaries of Biotronics3D” skills as the Global Brain. Maybe the answer to our challenge was not finding an answer to how we can scale fast and bring and maintain even more skillful people on board, but rather how to find a mutually beneficial and fair method of working together. But how do we do that? We had no idea. Once upon a time, somewhere in post-war Eastern Europe, there was a great famine in which people jealously hoarded whatever food they could find, hiding it even from their friends and neighbours. One day a wandering soldier came into a village and began asking questions as if he planned to stay for the night. “There’s not a bite to eat in the whole province,” he was told. “Better keep moving on.” “Oh, I have everything I need,” he said. “In fact, I was thinking of making some stone soup to share with all of you.” He pulled an iron cauldron from his wagon, filled it with water, and built a fire under it. Then, with great ceremony, he drew an ordinary-looking stone from a velvet bag and dropped it into the water. By now, hearing the rumour of food, most of the villagers had come to the square or watched from their windows. As the soldier sniffed the “broth” and licked his lips in anticipation, hunger began to overcome their skepticism. “Ahh,” the soldier said to himself rather loudly, “I do like a tasty stone soup. Of course, stone soup with cabbage — that’s hard to beat.” Soon a villager approached hesitantly, holding a cabbage he’d retrieved from its hiding place, and added it to the pot. “Capital!” cried the soldier. “You know, I once had stone soup with cabbage and a bit of salt beef as well, and it was fit for a king.” The village butcher managed to find some salt beef . . . and so it went, through potatoes, onions, carrots, mushrooms, and so on, until there was indeed a delicious meal for all. The villagers offered the soldier a great deal of money for the magic stone, but he refused to sell and traveled on the next day. The moral of the story is that by working together, with everyone contributing whatever they can, a greater good is achieved. By working together, with everyone contributing whatever they can, a greater good is achieved. The answer to our challenge was obvious: what if we shifted the challenge to how we could define a roadmap for innovating faster and smarter in a Networked World and not within the confines of the company? We had the technology to support that (in 3Dnet we have everything online, accessible securely from any location). Could we come up with a credible business model as well? This remodeling project, like any collaborative activity, would bring together a set of independent players with clearly defined roles, who operate within a supporting system, our 3Dnet platform for medical imaging. Much later I discovered that what we were trying to do is called network-centric innovation and if Biotronics3D should be successful, we had to learn this model fast. In this model, there are well-defined actors and roles. Biotronics3D was asked to play the role of the innovation architect, to trigger and catalyse innovation but also manage and maintain the platform upon which the innovation network exists. We became the platform leaders, the innovation platform and portal and the innovation steward at the same time. Then we had to find the innovation adapters to provide specialised knowledge/services and other infrastructure services. Last but not least, we had to develop the role of the Innovation agent, to mediate interactions, knowledge transfer and innovation. In 2018 we have created the 3dnet marketplace, adhering to and adopting Chesbrough’s ideas of open innovation. And that notion defines and will define our strategy for the years to come. The first step of our strategy was to create our 3dnet community. We have done that, today our community has more than 30,000 members across more than 17 countries and is growing fast, roughly almost doubling every year. Now what we will do is to bring this community together, in the same way as in classical Athens, people (the “δῆμος”, meaning the community, the township) used to meet in the marketplace (the “ἀγορά ”, meaning the gathering place or assembly) to exchange ideas but also trade products and services. Effectively our vision is to become the Agora of Medical Imaging. The NG rule: Network Governance. What we provide is cetegorised under a medical device. Doctors use our system to take critical decisions, often life or death decisions, to manage diseases. We have created formal mechanisms such as contracts and agreements, rules, procedures and standards. We have defined criteria for selecting appropriate product and service providers for the 3dnet marketplace. We have ensured common and appropriate patterns of behaviour among members and coordinate exchange of knowledge, resources, and products. The KM rule: Knowledge Management. We have created mechanisms to facilitate members’ dialogue, provide a common vocabulary which includes the technology side of the platform, and to facilitate knowledge transfer, interpretation, and integration. In other words, we have defined ways to facilitate the generation, codification, and utilisation of skills for products and services in our network. The IP rule: Intellectual Property Rights Management: Our objective is very simple, we want to enable our innovators to control the use of their innovation and its deliverables, whilst we respect their IP rights and maintain them at arm’s length from Biotronics3D. In my research whilst we were building the model, I came across the manufacturing process of Boeing 787, which, to create the Boeing 787, used the “Stone soup” paradigm, adapted to which was known as the “Orchestra-platform model of network-centric innovation”. In the words of Scott Strode, Boeing’s VP of airplane development and production, “Boeing made a shift from being a manufacturer to being a platform. As Strode notes, “Boeing’s role as a platform requires it to address “a broader range of responsibilities that includes selecting the partners to host on the platform, establishing clear expectations, deciding on common tools and processes and very often making critical technology decisions”. Walt Gillete (787 VP of engineering and partner alignment) further commented that “assuming the role of the platform, allowed Boeing to concentrate more on attending the voice of the community.?? In the same research, I also came across Marc Benioff, the legendary founder of Salesforce.com, who ended up being one of my role models in business. Marc was responsible for his company’s transformation, in the same way as we would like to do, a journey that took salesforce.com from a solution provider to a platform provider. Specifically, Marc defined a foundational on-demand architecture that has helped external developers to build applications extending the scope of the product’s core offerings. Thus, instead of creating and offering whatever was needed from the market, Marc defines the platform strategy which enables salesforce.com to harness the innovativeness and the capabilities of external developers and service providers and transform itself into an all-purpose enterprise computing infrastructure provider. This is what we started doing but always dedicated to medical imaging. In our amazing journey, we found ample support both from our people, but also from the members of our community. Commitment: Biotronics3D is equally committed to supporting its users, innovators & vendors on the principle that “the ecosystem will grow if each of its parts grows”. Leadership: Biotronics3D is actively looking for opportunities to bring on board opinion leaders and influential research groups from the different specialties of clinical imaging; as well as the “movers and shakers” of advanced imaging analysis community. 3Dnet not only allows them to distribute their applications but also to spread their workflows, knowledge, and know-how. Through collaborative grants or partnership programs, Biotronics3D can provide the support for R&D; from prototyping and technology transfer to clinical validation and route to market. Independence: Innovators and vendors are free to define a model for distribution and pricing; Biotronics3D would only provide guidance on request. IP Ownership: Biotronics3D does not wish to take any rights in any Intellectual Property developed by an innovator/vendor and these rights will remain with the innovator/vendor. Marketing: All public apps and services, which any user or organisation can subscribe to, are visible on 3Dnet marketplace. Biotronics3D will promote all new applications through its marketing media, channels, and while exhibiting at international trade-shows and conferences. Finally, at Biotronics3D, we believe that innovation is the key to progress. Our vision encompasses a different technology, a different business, and a different philanthropic model to modernise healthcare, based on and driven by novel ideas. Through our platform, we aim at creating a strong research & development community that will lead and change Diagnostic Imaging. We call all medical imaging hardware providers, from suppliers of diagnostic monitors, to scanner manufacturers. And we invite you all to participate in this transformation by building and enriching our thriving community with your products, talent, and creativity. It is time for the 3Dnet Agora! The AI King is dead, long live the new King. Yet another ECR (European Congress of Radiology) conference came and went, and with it, it took yet another trend in our industry, that of Artificial Intelligence (AI). 2014-2018 was the period of intense investment and publicity for medical imaging AI. IBM’s acquisition of Merge in 2015, based on the argument of enhanced AI was the catalyst and the accelerator. After that, myriads of start-ups emerged in the space, mainly thanks to Nvidia’s and Google’s very powerful algorithms and libraries, making it simple for everyone to tap into image recognition AI. Those two companies effectively democratized the technology and the market. For instance, last year, a Radiologist friend with very limited software development skills, managed to create what appears to be a very powerful medical image comparison service based on the Google AI service. He was explaining to me that the barrier to entry is not the know-how and the technology, but the primary data collection- accessing and correctly tagging thousands of medical images for training. When it comes to medical Imaging, data is gold and Radiologists are the new Midas of data. This year, at ECR, the flaw of Medical Imaging AI, which is mainly a business model flaw, became apparent; and this is the risk of extreme commoditization, where the battle for accuracy in findings was turning rapidly into the battle for the price. Take your typical modern Radiologist. Of course, he wants to work with an AI product to assist his interpretation, as long as the claimed accuracy is good enough (and with most of them it is). But he really does not care what the brand is on the black box number crunching the data at the background, in the same way, he does not care what brand of petrol he will fill his car with (as long as the price is not expensive). When it comes to Medical Imaging AI, the 15 letters of the word commoditization are getting more prominent, and all those start-ups very soon will be swimming in their own red ocean. It was interesting to observe that some of those AI companies recognized the problem and tried to create their own blue oceans, tried to differentiate, to diversify into other not AI related features; but I fear, in the end, it will be the survival of the one with the deepest pockets for them. So, yet another trendy idea came and went in our industry, an industry I recognize as one of the most fastest moving and innovative in the market. What is next? Who is the next King? And what is happening to the old King, is he dead? Dear reader, let me please volunteer my opinion. I think the next trendy idea in our market, the next King in our market, will be the “Internet of Services (IoS) for Radiology”. But the old King, AI will also be here to stay and grow. This is very close to what we, at Biotronics3D, do today. This notion is core to our vision. I would define our current model as the “Internet of Things (IoT) for Radiology”. But this is a very short-lived phase, an interim phase, as we observe that the Internet of Things (IoT) will become slowly The Internet of Services (IoS) for Radiology. Our industry is going through the same evolution as the telecommunications industry. What is the “Internet of Services for Radiology”? A service is a commercial transaction where one party grants temporary access to the resources of another party in order to perform a prescribed function and a related benefit. Resources may be human workforce and skills, technical systems, information, consumables, and others. In our industry, the service definition above covers a broad range of services. It is, therefore, useful to define criteria to classify those services. The most obvious classification is perhaps based on the digital footprint of a service. How and to what degree information technologies like ours are used to instantiate a service. As an example, think about teleradiology services. The traditional teleradiology service (popularised in the 90s by my very dear friend, Dr. Phil Templeton), is about granting access to some Radiological remote skills and sending radiological examinations from one point to another. This process is the transition phase between IoT and IoS. When it is fully evolved to pure IoS the bi-directional information flow associated with those services combined with user behaviors will become more and more important. As an example, information about Just in Time quality of teleradiology services, is as important as the teleradiology service itself. Increasingly we perceive Biotronics3D as the facilitator of the Internet of Services (IoS) for Radiology. The hosts of an imaging network of people and skills that is rapidly expanding in size and complexity where data and services are standardized, monetized and traded for the value of all. In this Brave New World of IoS for Radiology, we will be pioneers. I also predict that AI will play a major role in the Internet of Services for Radiology, but it will not be the main focus. At Biotronics3D we have recognized this and we have embarked on research on how AI can be used within an IoS for Radiology framework. Our Innovation Centre in Edinburgh is very busy with this research. But the coming of the new King is not without challenges. One challenge is to find an appropriate understanding of the term “Services for Radiology”. In order to form the Internet of Services for Radiology, services have to be described in such a way that the business dimension and the technology dimension come together. Service providers in our industry will have to describe the business aspect of a service while at the same time services have to be described in a way that systems can automatically understand and link services. The second challenge will be around the standardisation of services. A common understanding and a way to codify radiological protocols will be needed. For example, an MRI protocol for prostate cancer has to have the same meaning across a wider healthcare network. I think as Biotronics3D is heavily involved in technologies and business models of IoS for radiology, we increasingly see how the future of the web-based service economy in Medical Imaging will look like. Enterprises (like for example our customers Affidea, http://www.affidea.com) will eventually use our technologies and the Internet to build and provide huge numbers of new kinds of services that go beyond old-fashioned teleradiology services. Services that are available on the Web separately will be combined and linked with one another resulting in aggregated value-added services. Using web technologies, services will become more widely and easily available. Imaging Centres will open their business processes to others to form value networks which will be, in the end, a necessity for success in our very competitive markets. The Internet of Services is expected to ensure profitability and further growth of our sector. The King is dead, long live the new King. Warmest thoughts and best wishes for a Very Happy 2018! The Biotronics3D team wishes you the warmest wishes for a joyous season! 2017 and the celebration of New Year’s Day is almost here! As we plan for the coming year, I have been thinking about the past year and how our team in Biotronics3D has continued to dynamically change and grow in the market. The implementation of new methods and procedures continues to allow us to alter products and services to meet emerging and growing needs and to better serve our customers. We have also taken a fresh look at our goals for the coming year, many of which are outgrowths of the past year’s initiatives and explorations. We have reached the milestone of 15,000 registered users. In 2016 our innovation became global; the 3Dnet system is used daily across 14 timezones (from San Francisco, USA all the way to Tbilisi, Georgia!). Based on ample anecdotal evidence, at least 15% increase in referrals is what some of the Imaging Centers running our system report. They attribute that mainly on our online technology and our tools which makes it possible for them to engage better with their referring doctors and strengthen their relationship. The team at Biotronics3D looks forward to what 2017 will bring for us. While we plan on pursuing even more partnerships and collaborative ventures with medical imaging providers, we will continue to explore what our users need in terms of expertise, services and features as well as satisfaction with what we offer. The following are a few areas we plan to focus on more depth in 2017.
to manage the successful roll-out of our system to cover the complete operations of our 3 strategic customers (a Herculean task on its own). to try to reach and even exceed two milestones: the “25,000 registered users” milestone AND the “deployed in 25 countries” milestone. We call them the milestone “25”. to implement better approaches for co-creating with our partners, the medical image providers and the medical image innovative companies. to implement new technologies bringing information and services to our 3Dnet users and their patients whilst increasing cohesion within our 3dnet community. Last week I was discussing with Soeren the new version of our system (soon to be released), and all of a sudden my discussion with Ed sounded very familiar. Our new version once more pushes the boundaries of innovation in our market, the core difference being that we now offer a system that positions the patient at the centre of the clinical workflow. We do that by enabling multi-directional communications amongst the care-givers in a true patient centric model. Effectively, by doing that we replace the middleman, and interesting enough I believe we make the first step to Uberise Radiology. For those living in the last two years on a different planet, I think I should explain what Uber is. Like the gigantic health systems (NHS and the likes), the taxi business model was inefficient, not mobile, and as any passenger using a minicab in London on a Saturday night can testify, often very unpleasant. It was a model built around the needs of taxi drivers and their companies, rather than me and you, the needs of the guys paying for their services. Mobile technology and the internet has existed for over a decade, but the taxi industry has simply refused to embrace it, holding on to its old ways. Enter Uber, a Silicon Valley startup. It uses a mobile platform. It is GPS-enabled. It allows you and me, the passenger to rate the driver. It’s paperless. It’s efficient. It reduces the cost of service. And while Uber has faced regulatory pushback in almost every country launched, its innovation has seriously disrupted the existing models and it has been handsomely rewarded. Regulation typically drafts behind, not ahead, of innovation (Brussels please take notice!). Today we are seeing a major shift in healthcare globally, mainly brought by cultural and socio-economic forces. The population is ageing and chronic conditions requiring management during patients’ daily lives are on the rise. Alongside these issues, we are seeing widespread connectivity emerge across all economic classes. Portio Research estimates some 6.9 billion cell phones are currently in use worldwide. That’s up from 2 billion in 2005, according to Wireless Intelligence. My mother, for example with no prior experience in computers, bought a tablet 2 years ago and within a month not only did she manage to skype her grandchildren but also to send her MRI scans to a consultant in the Mayo Clinic for a second opinion. Technology has set all of this change in motion. We are already seeing more empowered patients. In our company we call those patients the “super patients”, the ones who are very close to Dr.Google. People want information. They want to make their own diagnosis. They want to research their doctors. They want to find ways to get to be 100 years old and still enjoy quality of life. They want to have instant access to clinical skills regardless where they are. I imagine a world in the next 30 years that looks like this: Patients receive personal care around the clock. Virtual coaches and doctors work with patients to optimize day-to-day preventative care. Everyone has their own virtual care team that lives with them in augmented reality. Meanwhile, primary care physicians (real humans) are assigned to a pool of patients who they monitor remotely, supported by a team of real human specialists. But much of the “personal” connection will be done through virtual humans (maybe there is a place for IBM’s Watson AI system in healthcare after all, you clearly need the machines to help us with the deluge of clinical information overload, the clinical information obesity). And in this brave new world, medical Imaging will be asked to play a major role. I think it will be the catalyst driving the next evolutionary step in healthcare. Why? Because Medical Imaging is the only way to present a pretty accurate picture of the anatomy and pathology of a person remotely, to a doctor miles away. Today doctors say, “Use this medication” or, “Use this pump; it’ll save your life,” and they assume that patients will readily adopt these products. But what we see happening is that as new products are created for the modern patient, companies will have to shift their focus toward how these products fit into the larger context of people’s lives. Understanding and meeting patients’ needs and desires will become a bigger differentiator, and more crucial to adoption than ever before. And technology and the internet will be the vehicle for this transformation. It all starts now. Healthcare must shift its focus toward the patient. There is no other way. Healthcare services should put the patient’s needs first and foremost. This is what Biotronics3d, our company is doing with our new product. Just as Uber has demonstrated with putting the passenger first, ignoring the patient will be fatal for health solutions companies: they will be the new taxi drivers, baffled by how the world has passed them by. At Biotronics3D we are building the next Uber-like disruption in the Medical Imaging service. And in this new framework the Radiologist will evolve to a new role where the patient is in the centre of the workflow. I think I ought to add a postscript to this blog. There are many modern thinkers, as Andrew Keen in his book “The internet is not the answer” is very keen to emphasise. He claims that drawing on the formidable example of Uber, billions could be made by destroying taxi unions, to cite just one example. Another example is Dr Jay Parkinson, who on Sep 2007 launched probably first Uber-like medical services, using the internet to connect directly patients with doctors. His venture sadly lasted only 6 months and argues that Uber-like business models in Healthcare are doing a massive disservice to our system, and that we all should focus more on doctors’ efficiencies. And although I think we should always listen to this new generation of naysayers, the post 2000 internet has provided the catalyst for business growth, by putting conventional business models on steroids, and by accelerating the evolution of everything. An exponential acceleration… Just consider that: when a kid with a laptop working from a beach in Mexico could invent Instagram, a photo-sharing app, and singlehanded bring Kodak, the old giant of photography, to bankruptcy, it is obvious that organisations and companies that fail to understand and adopt the new business models will have the same future. And “Uberise everything” is the new kid in the block, dinosaurs who fail to understand and evolve fast, will die regardless their size. The Internet of Medical Things: Were is the next Claude Shannon when you need one? Most of the people working for Biotronics3D started their professional lives and learnt their trade in Academia. As old habits die last and are difficult to forget, it was almost by instinct that right from the beginning we have created and fostered an environment welcoming and promoting research collaborations with UK and EU based Academia. Anyhow, most of our friends work in Academia, and it was only natural that we wanted to keep contact with them. And although this was never part of our original vision (a different technology model- a different business model- a different philanthropy model), nevertheless, collaborative research with Academia quickly became the norm for us. Today, we all at Biotronics3D are very proud for the copious amount of the collaborative research outcome this company has produced through-out its existence in the past 12 years. We have sponsored, supported and were actively involved with PhD studentships with City University, UCL and ICR in London and the University of Venezuela, we have been active in ample Industry-Academic knowledge transfer partnerships, members of our team frequently lecture at Universities, but most notably we have collaborated in many European wide research projects, often funded by the European Union. I remember the first European project we participated was under the FP6 framework way back in 2005. It was for the development of an autostereoscopic monitor that was designed to be used for medical Imaging for the diagnosis of diseases. Way ahead of its time, it was very useful for us as we learnt a very valuable lesson: it was very interesting to observe how very innovative products are deemed to fail in the market unless they accompanied by very strong value propositions. As it happened, for autostereoscopic medical graded monitors, the value proposition was not strong enough to justify the extra overhead cost. Today Biotronics3D is actively involved in 6 collaborative research projects, one is UK based, the others are EU based supported by the H2020 framework. I am very proud that our company is so active in collaborative research, with an output that many academic research groups would had been very keen to have. But before I explain my theory on IoT, I would like to comment on that chaotic disaster known as Brexit and the very negative impact this will have in collaborative pan-European research (or the result of an ill-fated referendum where a very narrow majority deciding for UK to exit the EU, mainly based on badly constructed and incomplete arguments combined by bone-breaking ignorance and copious amounts of xenophobia). I admit that I am a very big supporter of the unified Europe vision and for me the result was a massive disappointment. I was sad, upset, angry and disappointed all at the same time. After a period of depression that felt like fighting a duel with an invisible enemy (I still cannot understand who the 52% of the UK population are who voted for exit) I have now entered the period of the day after. And I believe this post Brexit UK will be a very sad time for UK based companies and academics wishing to promote collaborative European research. This is sadly the side-effects of Democracy, or how a bunch of misguided hoi polloi can damage, or at least create serious obstacles to academic research with direct negative consequences to the wellbeing of society as a whole. Most of my Academic friends are very worried and very fed up. Because post-millennium it is ridiculous to practice science without the ability to establish close links with other academics in Europe. The times of the monolithic and isolated ivory towers of knowledge belong to the middle ages, not to the modern and fast evolving knowledge based economy. But the 52% of the population was mesmerised by Mr. Farage’s Nazi-inspired demagogic poster of the tragic lines of immigrants desperately trying to enter Europe to seek a better and safe life. Enough of that and please accept my apologies for diversifying from our subject. The Holy Grail of our current research in Biotronics3D is how to use the Internet of Things (or rather the Internet of Medical Things) and create innovative business models based on that, which the company could exploit commercially. Thus the name of the article of this blog. Let me please explain. In the late 1940s Claude Shannon invented a mathematical theory of communication that gave the first systematic framework to optimally design digital communication systems. His ground-breaking approach introduced a simple abstraction of human communication, called the channel. Shannon’s communication channel consisted of a sender (a source of information), a transmission medium (with noise and distortion), and a receiver (whose goal is to reconstruct the sender’s messages). And now this is where it gets interesting. In order to quantitatively analyse transmission through the channel he also introduced a measure of the amount of information in a message. To Shannon the amount of information is a measure of surprise and is closely related to the chance of one of several messages being transmitted. For Shannon a message is very informative if the chance of its occurrence is small. If, in contrast, a message is very predictable, then it has a small amount of information—one is not surprised to receive it. To complete his quantitative analysis of the communication channel, Shannon introduced the concept of entropy rate, a quantity that measured a source’s information production rate. By doing that, singlehandedly he laid the foundations of one of the main cornerstones of the internet (next time your Netflix steam freezes, you can always blame Shannon). And this is where it gets interesting for us. My theory is that as intelligent devices invade our everyday lives and we connect everything online (aka the Internet of Things or IoT for short) and as we bury humanity deeper and deeper under layers of the unexpected deluge of information overload, I claim that the value proposition of the IoT is directly proportionate to how surprised we are to receive a certain packet of information. In Shannon’s words the value proposition of the IoT is related to the entropy the channel produces and is only loosely and weakly related to the communication channel capacity. Take one of my favourite research projects my company participates in. The PD_Manager project, a mHealth IoT platform for Parkinson’s disease. (http://www.parkinson-manager.eu/). This is the archetypal Internet of Medical Things project, as it attempts to connect diversified operators to the Biotronics3D cloud for the monitoring and prognosis of PD. The operators include not only a number of very innovative wearable devices, but also clinical mobile applications and data analysers. It is this holistic approach that makes this project so different from other PD monitoring IoT projects. As such you could claim that this project differs because the communication channel capacity is large. However, I believe the most interesting aspect of this project is the inherent entropy that the information carries. And assuming that our research has the ability to construct robust methods to harvest this entropy for the benefit of PD patients, I think we are placing our bets on a very strong horse for the race of IoMT. Soeren delivered a lectured recently where he claimed (and I would strongly agree with him) that the Internet of Medical Things (IoMT) and cloud based disease management in general is one of the most promising applications of the proliferation of the internet in our everyday lives. In his talk he argued that the three current application directions of the IoMT (and inevitably the Biotronics3D research) are for the care for paediatric and the aged, for chronic disease management and for personal health management. He then went on to explain that this is not an easy path to follow and there are many challenges, challenges that better to be approached in a multidisciplinary and European-wide manner. For example: how do we manage data integration and device diversity and interoperability? How do we scale humongous size of data for performance yet make sure that all the doors for data privacy and security are properly locked? How do we deal with the evolution of applications and data operators and the need for a new type of medical expertise that uses the internet as a de facto tool for the everyday clinical work? How do we develop new business models that can successfully launch IoMT initiatives? The following slide is from his presentation and I think it frames the thrust and vision of our research. The value of the network: Metcalfe’s omissions. Last week I was discussing with a very dear friend of mine on the value of modern networks. He is a mystic, a philosopher and a Freemason, and the discussion, although started from the famous Metcalfe’s aphorism of N-squared, grew fast to the point of discussing how social networks start from a selected elite and fast become the tools to be used by the hoi polloi. And as the discussion was flowing fueled by a very nice Cabernet from Chile, and after we discussed the modern market anomalies like facebook, it hit us: Metcalfe’s N-squared is a very old fashioned approximation to the value of a network, and sadly is no longer applicable. In the modern large-scale social and economic systems this equation for sure must take new forms. And this is the value of the network related to the Information flowing across it. My friend’s insights on the subject were invaluable as information (or the secure exchange of it) became an important asset on early Masonic networks. Doctors need to form networks because of one important consideration: the limited ability of humans to embody knowledge and know-how. To fight their individual limitations, they need to collaborate. Thus they form networks that allow them to embody more clinical knowledge and know-how. Those networks are essential to manage complex diseases that require knowledge and know-how that cannot be embodied in one individual. A new term was introduced recently to signify the maximum personal capacity to hold knowledge: the personbyte. What we have here is the concept of the clinical personbyte. Diversified clinical networks will be the ones capable of executing complex disease management activities (thus the value of a network is increased the more multi-disciplinary in nature it is, with varied clinical personbytes across the network). Over the long run, the value of our clinical network will approach the complexity of the accumulated knowledge. All those predictions were empirically testable and consistent with all the data we had from our customers. Interesting enough, they became important also in the growth of Masonic lodges in the 20th century. And as, me and my friend were opening a new bottle of wine, we concluded that as life goes on, and entropy continues to increase, our society continues its rebellious path marked by pockets rich in information; pockets that Erwin Schrodinger (of the feline paradox reputation) used to call the out-of-equilibrium corners of the networks. We constantly form and cull social and personal relationships, make professional alliances, beget children, and of course laugh and cry. This is what Metcalfe saw and tried to measure. But what he didn’t see was the beauty of information on the network. And this is what modern networks are all about: owning the responsibility of perpetuating this godless creation. I missed you K and I hope we have the opportunities to share our wine more often. Fifteen thousand reasons to be happy about. 2016 was a landmark year for all of us at Biotronics3D; it was the year that our 3Dnet community of users reached 15,000. In numerology the number 15 is the number of family and harmony, the number most likely to be in the forefront of innovation. And this is exactly how we also perceive our 3Dnet community, a family of likely-minded individuals striving for innovation in medical imaging. And this is why this number was such an interesting and amazing milestone and achievement for us and we are immensely proud for that. Today our 15,000 users are spread across 12 countries and work at more than 500 organisations using our system 24/7. We call them internally “3dNet PersonBytes”. Cesar Hidalgo, a professor from MIT, was the first to introduce the concept of a PersonByte, trying to define and to describe the amount of knowledge that one person can reasonable know. This is particularly relevant in the medical domain, a knowledge driven domain, where the size of this knowledge is growing exponentially. The last doctor that successfully managed to have a PersonByte with all the modern clinical knowledge available was Dr. Robert Floyd. The bad news is that he died at 1637, 200 years after Gunteberg and 350 years before the internet. Today clinical practitioners strive for sub-specialisation which is undeniable the one-way highway to the village of Babel: each new medical procedure, each new imaging protocol comes with its own particular embedded ideology and failure to communicate. In medical imaging especially, the presumptions and dogmas that prevailed Radiology in the era of PACS prior to 2000, are not valid any more. Especially this statement is even more evident when it comes to imaging services which, in my considered opinion, has entered an existentialist crisis (and not just an economic one) due to ever increasing size and complexity of data, the proliferation of imaging outside the confines of Radiology and the incapacity of healthcare eco-systems to withstand the shockwaves of that. As a result, the Radiology PersonBytes are required to take critical disease management decisions whilst suffering from the effects of digital information obesity, stimulus overload and isolated “nichification”. I believe our 3Dnet community of 15,000, collectively, has the answer to that. I believe the best way to escape the constraints of the PersonByte tower of Babel, is to use technology such as 3Dnet to work collaboratively in even larger teams, something that the modern doctor is very familiar with. This is in line with what Metcalfe defines as the value of the network. The main question here is how easy is this remote collaboration especially when multidisciplinary disease management requires a far more challenging working paradigm and, the very often the exchanged token, is clinical knowledge and not data, something that is tacit, hard or impossible to describe. In Biotronics3D we realise that everyday; with our system, 3Dnet, it’s easy for our users to send medical images and other data around the planet but only data is proven not to be enough. Far from it. Clinical knowledge and know-how may be weightless in principle but, as Ceasar Hidalgo points out, it’s easier to move heavy copper from mines in Chile to factories in Korea than to move manufacturing know-how from Korea to Chile. Sadly, the same applies in medical imaging today even more than ever. We perceive the 15,000 PersonBytes in our 3Dnet community as a distributed network of imaging data and clinical skills, and it is very powerful because it consolidates in one place such vast and tacit clinical knowledge. This is the main reason 3Dnet is becoming fast an essential part to organisations of different sizes. It represents a rich source of collective capabilities that are essential to them as it enables them to improve business and clinical processes and outcomes. And exactly this is our mission, vision and pledge to the clinical community we serve: Disease management and medical imaging is unlikely to become simpler. But our company will raise to this challenge by focusing on social, institutional and technical support that makes distributed clinical collaborations possible and also helps organisations break the vicious cycle of the post-PACS era of commoditised medical imaging and big data. 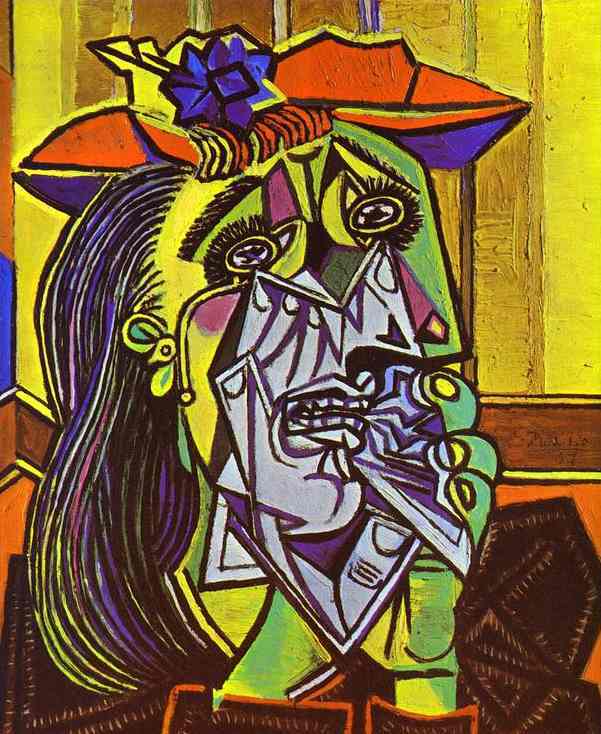 The war of Analytics vs. Intuition in Medical Imaging. The first time I became aware of the HIPPO phenomenon in business was around 2000, in one of the companies I worked for. 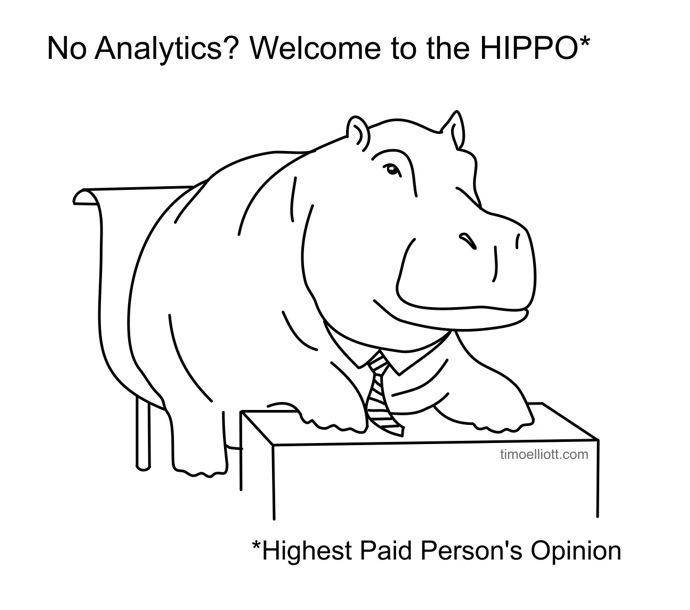 Of course HIPPO is an acronym; it stands for the “Highest Paid Person Opinion”. The company I am referring was a company with decent market share and ample in-house skills, but with a product that had reached obsolescence and to a very large extent was facing a commoditised market. I had an idea about how to pivot that company and restart its growth engine as it rightly deserved. I was convinced that my idea was a good one, assuming it had the backing from the board. Before I presented my idea, I spent time analysing the market and finding the figures to build a proper business case. It was based on the analysis of factual market data and this was the basis for building my arguments. When I was given the floor my 60 minutes presentation was met with much sympathy; I even managed to raise a few eyebrows. But the result was not the implementation of my ideas but instead what the HIPPO proposed. However his ideas were based only on his intuition (and not any data at all) and he went on to justify his proposed strategy on the number of grey hairs he was carrying on his head. To summarise, his idea was to keep on pumping more money into the existing strategy. This HIPPO also had an acute case of Christensen’s “Innovator’s Dilemma” syndrome. Today I am one of the HIPPOs in my company. My desire is to create processes to de-HIPPO-tise Biotronics3D. I try to build a culture of “Trusting only what your numbers say, NOT what your HIPPOs intuition says”. But my vision and goal also is to help our clients to de-HIPPO-tise their companies. To enable them to take decisions based on real data and not their intuition. And this is what I hope analytics.3dnetmedical.com will offer to them. Take for example the case of one of our customers, a managing director of a small group of imaging clinics in the UK. He recently had a request from two of his clinics to replace their MRI scanners with new ones, but he only had the budget for one this year. How does he know which clinic to favour? The answer is that he doesn’t, unless he has accurate and up to date data for his organisation. Favouring the one that shouts loudest or delivers the best power point presentation is a high risk strategy in my opinion. I am sure dear reader, at this stage you may quote the “faster horse” statement that Henry Ford once made. To paraphrase, Ford said that if he looked at his data to figure out what people wanted, he would not invent a car but a way to make a horse faster. You may even claim that it is intuition that makes you see “around corners” and helps you innovate and differentiate. If analytics are the bricks of the decision making process, for sure you would say, intuition is the mortar. But how true is that? Can intuition with no analytics help a group of imaging clinics innovate? To help organisations understand the opportunity of information and advanced analytics, the MIT Sloan Management Review partnered with the IBM Institute for Business Value to conduct a survey of nearly 3,000 executives, managers and analysts working across more than 30 industries and 100 countries. The research was also included a number of US based organisations with medical imaging operations. The key finding was that top-performing organisations use analytics five times more than lower performers with a widespread belief that analytics offers value. The research went even further, attempting to dispel the myth of intuition. Albert Einstein once referred to intuition as the “real valuable thing”, but, this research found that six out of the ten respondents cited that they use analytics extensively to innovate and achieve competitive differentiation. We found that organisations who strongly agreed that the use of business information and analytics differentiates them within their industry were twice as likely to be top performers as lower performers. The research goes even further and attempts to classify all companies in 3 classes in terms of analytics adoption, and how prepared they are to turn challenges into opportunities. Aspirational. These organisations are the farthest from achieving their desired analytical goals. In Medical Imaging, often they would adopt a traditional PACS and try to focus on efficiency or automation of existing processes, and searching for ways to cut costs. “Do the same for less” seems to be the way of operating. Aspirational organisations currently have few of the necessary building blocks – people, processes or tools – to collect, understand, incorporate or act on analytic insights. Experienced. Having gained some analytic experience – often through successes with efficiencies at the Aspirational phase – these organisations are looking to go beyond cost management. “Do more with less” is the way they operate. Experienced organisations are developing better ways to effectively collect, incorporate and act on analytics so they can begin to optimise their organisations. Transformed. These organisations have substantial experience using analytics across a broad range of functions. They use analytics as a competitive differentiator and are already adept at organising people, processes and tools to optimise and differentiate. Transformed organisations are less focused on cutting costs than Aspirational and Experienced organisations, possibly having already automated their operations through effective use of insights. They are most focused on driving profitability and taking strategic decisions as they keep pushing the organisational envelope. When I read this analysis, my thoughts went to the three stages of Medical Imaging evolution I presented in my last blog. Phase 1, the golden era of PACS, is really all about “Aspirational” health organisations. Phase 2, the era of enterprise imaging, and as PACS became clinical norm, is all about “Experienced” healthcare organisations. However, phase 3, the evolutionary phase where big data changed Radiology and medical imaging, is all about “Transformed” organisations. In Biotronics3D we came with the idea and had the vision to help our customers thought this evolution. In this process I think we will murder their HIPPOs and help them substantially outperform their industry peers. I am fully convinced that this performance advantage will come from the potential rewards of using our analytics.3dnetmedical.com .